Video and content creators, listen up! If you’ve got a YouTube channel, it’s time to look into creating an awesome YouTube channel trailer to introduce your channel, highlight videos on your channel page, build excitement, and increase viewers. A YouTube channel trailer is a quick video that promotes your channel and hooks new viewers in. Approach it like you’re talking to someone browsing for your kind of content. 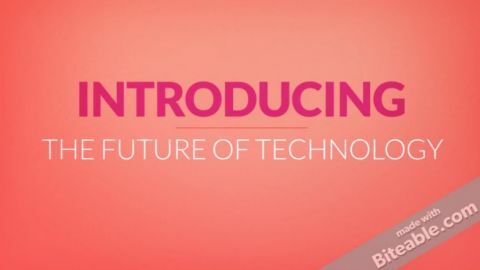 It’s a bit like a movie trailer — you’re giving potential viewers a sneak peek into what you’re all about. YouTube channel trailers are typically short and sweet — under 40 seconds is good. Use it to introduce the unique qualities of your channel. Hook viewers in the first few seconds by showcasing the best parts of your channel and getting right to the heart of why someone would want to subscribe to your content. Include key information, like your Twitter handle, for example, or how often a subscriber can expect new content. Why do you need to have a YouTube channel trailer? You want to create a stable base of subscribers to your channel, especially if you’re hoping to use it for ad revenue, and a trailer is a great way to draw new viewers into your world. Even if you’re just looking for more views on your content, having a trailer will help people find and support your work. Still not sure what your trailer should look like? 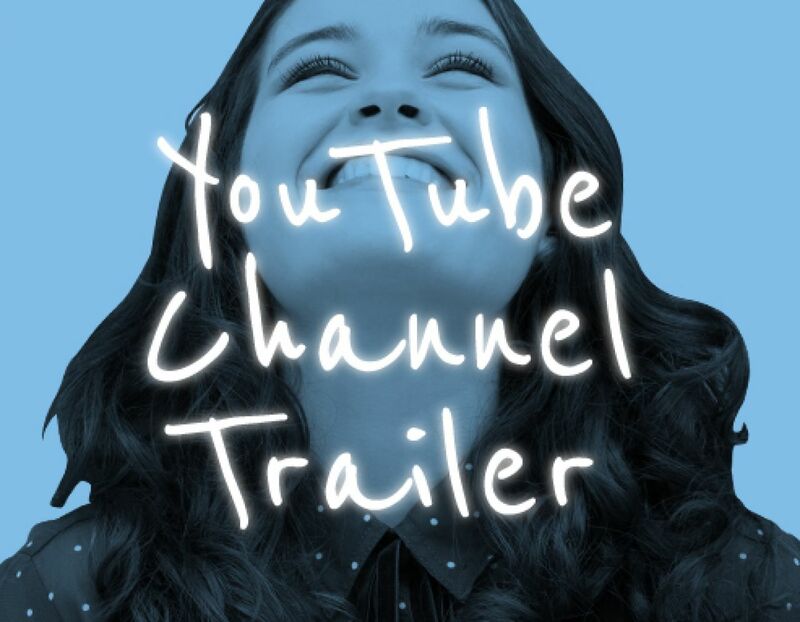 Check out some of these great YouTube channel trailer examples for inspiration. What’s Up Moms is the #1 parenting channel on YouTube, with over 1.5 million subscribers. In their trailer, you’re introduced to the host and shown highlights from some of the videos in their collection. There’s a call to action at the end, and a subscribe button. It’s friendly, engaging, and ends with a reminder to subscribe! All good things. Brittany J. Smith - Welcome to my channel! Smith is a vocalist and makeup transformation vlogger from Nashville, TN. Her video is very simple and friendly. We like this trailer because Smith includes a clear call to action, gives you a taste for her style and tone, and describes some of the content you can expect from her YouTube channel. It would be stellar if Smith included clips of music or content from her channel, but the length is good, and with over 8,000 subscribers, it looks like she knows what she’s doing. Talk about motivating! This video by SoulPancake, a company that makes inspiring life advice content, packs a punch. It’s a little on the long side, clocking in at 50 seconds, but with upbeat music, a fast pace, and lots of rich imagery from their channel, it doesn’t feel long. This YouTube channel trailer really captures the essence of what SoulPancake is all about. You don’t need to tell your life story, but the best YouTube trailer examples start the viewer at square one. Introduce yourself, your purpose, and what someone can expect by subscribing to your channel. Think of this as the more engaging, creative version of an elevator pitch. Because this audience is meeting you for the first time, they’ve got no reason to stick around and watch a ten-minute video about you. Make your pitch quickly, and keep your video under one minute. 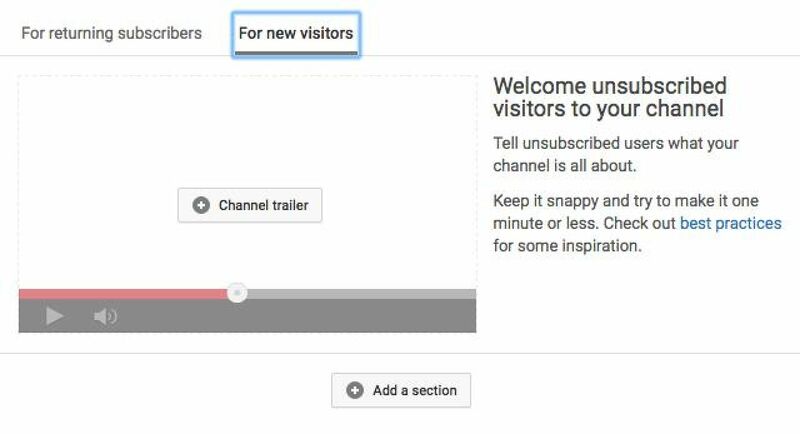 Use annotations to ask viewers to subscribe to your channel. Pull together different clips from videos on your YouTube channel. 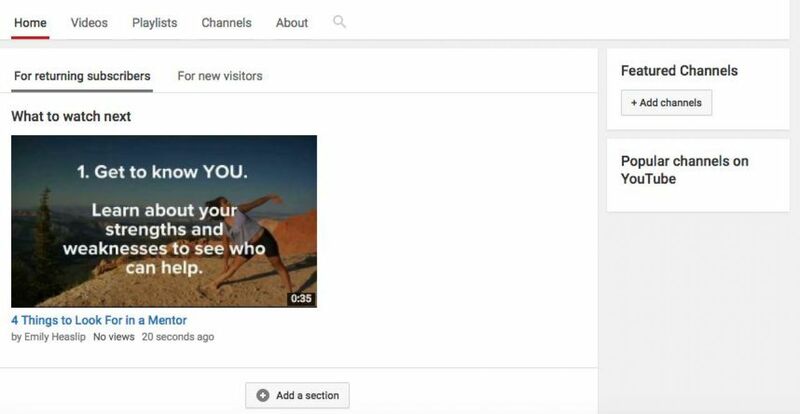 Give potential subscribers a glimpse into what they can expect from your channel by showing, rather than describing. What’s something that will make viewers want to see more? 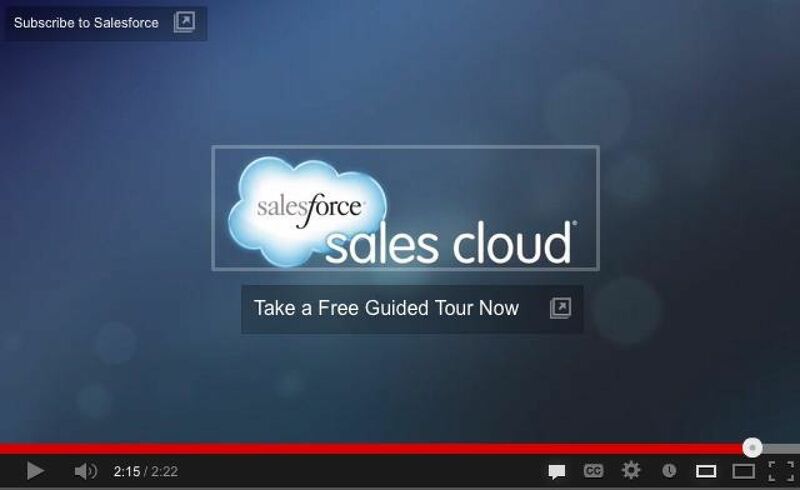 Keep your YouTube channel trailer short, and make sure to include a call to action at the end. Your trailer should end with a strong reason why viewers should come back to your channel and subscribe for new videos. Now that you understand why having a YouTube channel trailer is mission-critical, you want to make an awesome trailer, right? Biteable is a great YouTube channel trailer maker, with YouTube trailer templates and step-by-step videos on how to use them. Below are just some of our templates, but if you want to see more, you can visit our free templates page. Since each of these templates is free and easy to use, there’s no wrong way to go about it, and it’s actually pretty fun, too. 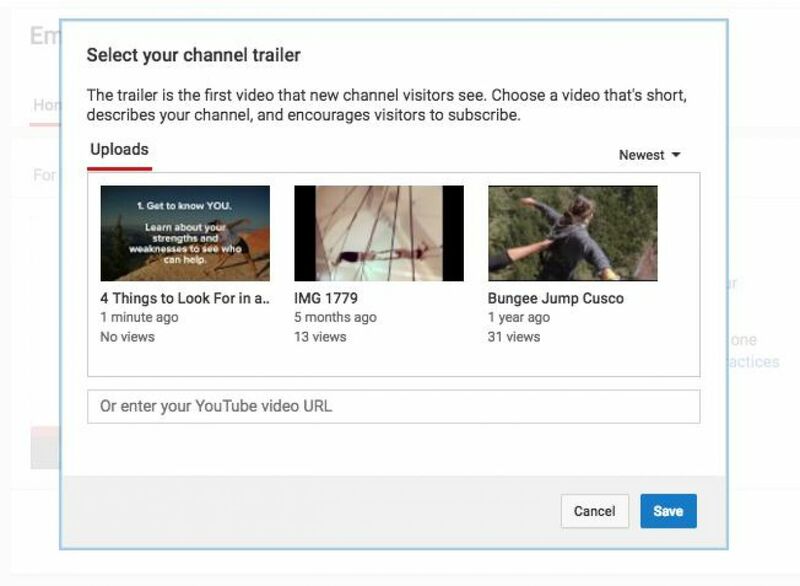 Once you’ve created your trailer, here’s how to add it to your YouTube channel. STEP 1. Make sure you’re logged into YouTube. 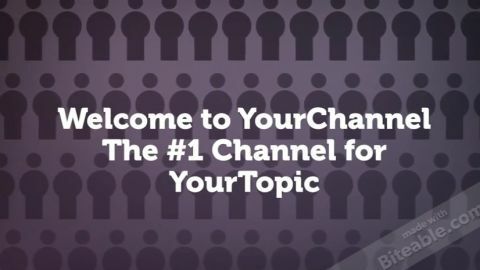 Before you start, you’ll have to turn on channel customization for your channel. In the left-hand menu, click My Channel. Under your channel’s banner, click the settings icon. STEP 2. Upload the video you want to be your channel trailer. STEP 3. Go to the channel you want to manage. STEP 4. Click the For New Visitors tab. STEP 5. Click on Channel Trailer. STEP 6. Choose your video by selecting its thumbnail or entering its URL. Hit Save, and you’re done! Now that you know how to make and upload a YouTube channel trailer, what are you waiting for? 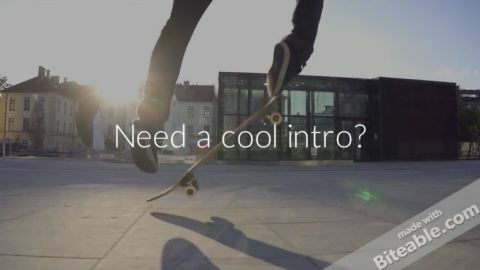 Get started with Biteable’s YouTube trailer templates today!